When Fraser Wharves, a major automobile import facility in Vancouver, British Columbia, decided to expand its rail ramp and increase capacity, it used TransDevelopment Group’s Global Consulting services to assist in several specialized aspects of the project. In the early stages of the project, TransDevelopment developed a switching plan to optimize the infrastructure investment and improve the efficiency of rail service to the facility. TransDevelopment developed specifications and detailed designs for the rail ramp expansion. During construction, TransDevelopment provided regular site visits and track inspections to ensure the construction completed according to specifications. 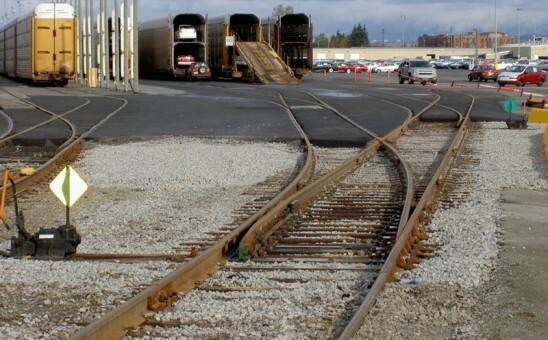 The project established 32 new railcar loading positions on 4 new tracks. In addition, support tracks were established with an additional 5,000 feet of storage capacity.